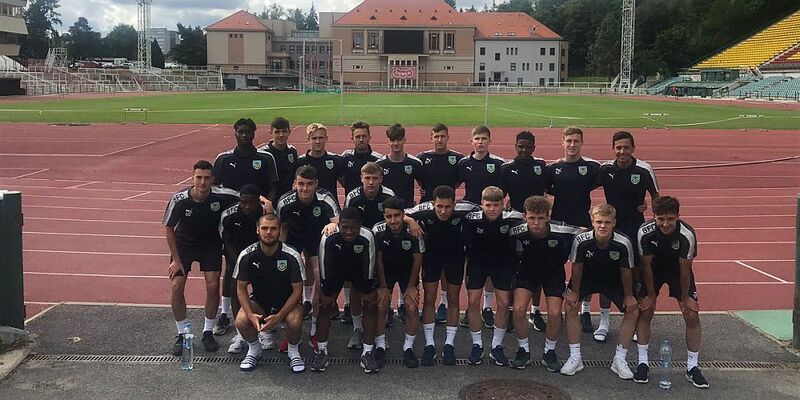 Having beaten Leeds United two days ago in the U18 Professional Development League, the two teams clash again tonight at Turf Moor in the 3rd round of the FA Youth Cup. We were drawn at home two seasons ago when we were embarrassingly beaten on penalties by the Metropolitan Police having been held to a 2-2 draw in 120 minutes of football with Khius Metz and Josh Dolling scoring our goals. Last season, goals from Dwight McNeil and Tommy Wood gave us a 2-0 win at Bradford City in the 3rd round before we suffered a 4-0 defeat at the hands of an impressive Norwich side at Turf Moor last January. Tonight though it’s Leeds although Saturday’s victory is to give little pointers as to which way this one may go. Having fielded a number of under-16s in that game, and given run outs to players who have rarely featured, there could be eleven changes tonight. It’s likely that Leeds have done the same. With no under-23 game this week, Danny Cadamarteri will be boosted by having such as Oliver Younger and Dwight McNeil available to him along with James Clarke who has also been involved with the under-23 team in recent weeks. Cadamarteri knows all about the FA Youth Cup. He was in the Everton team that won it twenty years ago against Blackburn. He had the distinction of scoring Everton’s second in the first leg 3-1 win at Ewood Park; the second leg ended 2-2. The Blackburn side in that final included David Dunn while alongside Cadamarteri were Leon Osman and Richard Dunne. Back to his Burnley team and I would expect the starting line up to come from: Adam Bruce, Dan Moss, James Clarke, Scott Wilson, Oliver Younger, Kwasinkosi Mpofu, Ethan Kershaw, Kian Yari, Jordan Barnett, Dwight McNeil, Leighton Egan, Tristan Jumeau, Jordan Cropper. It’s a big night for these lads, many of whom will be playing at Turf Moor for the first time. Kick off tonight is 7 p.m. with the Bob Lord Stand open. Admission charges are £4 adults and £2 concessions although all season ticket holders will be admitted for £1 on presentation of their season card.